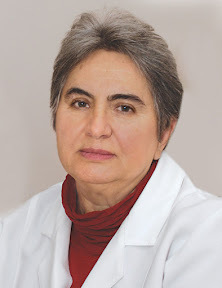 Lidia L. Chebotariova – Head of Neurophysiology Department , Doctor of Medicine, Professor, Honoured Worker in Science and Technology of Ukraine. Lidia L. Chebotariova was born in Kiev, on November 25, 1945. After finishing a secondary school she entered A.A.Bohomolets Kiev Medical Institute from which she graduated with honours in 1969. While still a student, L.L.Chebotariova, a doctor and scientist to be, decided to dedicate her life to neurology. L.L.Chebotariova had been working at the leading national centre of neurophysiology, A.A.Bohomolets Institute of Neurophysiology, from 1971 till 1984. 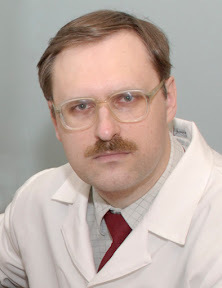 Thereafter, L.L.Chebotariova worked as a senior researcher at R.E.Kavetskiy Institute of Oncology Problems (1984-1987) and at Kharkiv Research Institute of Neurology and Psychiatry (1989-1991). She has been working as a chief researcher of the State Institution “Acad. 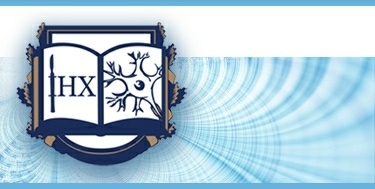 A.P.Romodanov Institute of Neurosurgery of the Academy of Medical Sciences of Ukraine” from 1991 up to present day; as Head of Neurophysiology Department – since 2015. L.L.Chebotariova is the author of more than 180 academic papers. She acted as an academic adviser for 2 doctoral theses, and a research adviser for 4 PhD theses, and has been a member of the Academic Board of the Institute of Neurosurgery, as well as a Fellow of the Specialized Academic Council on M.D. Degree Conferment D 26.557.01(specialty – “neurosurgery”). During her work at the Institute of Neurosurgery L.L.Chebotariova, together with the staff of the department, introduced a number of electrophysiological and ultrasound techniques. Currently, practically all modern methods of electrophysiological and ultrasound diagnosis of the central nervous system are used in the department. The functional diagnosis department conducts 9-10,000 patient examinations annually. The staff includes two Doctors of Medicine, a Professor; 5 Candidates of Medicine; 2 doctoral and 2 candidate’s dissertations are being currently prepared. The staff have published about 200 research papers over the last decade. The department is the main national centre of the training of specialists in CNS diseases functional diagnosis. Over 100 doctors have been trained here during the last 10 years. 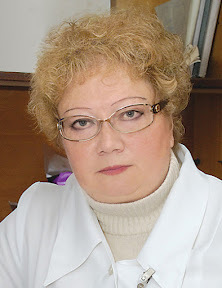 Albina I. Tretiakova – Head of Functional Diagnosis Department of the SI “Acad. 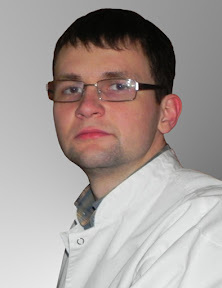 A.P.Romodanov Institute of Neurosurgery of the Academy of Medical Sciences of Ukraine”, Doctor of Medicine. A.I.Tretiakova graduated from the Department of General Medicine of A.A.Bohomolets Kyiv Medical Institute in 1997. She has been working as a physician at the Functional Diagnosis Department of Acad. 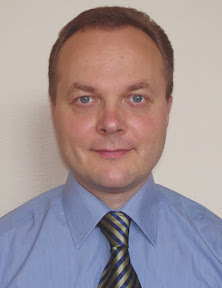 A.P.Romodanov Institute, NAMS of Ukraine; as Head of the Functional Diagnosis Department – since 2015. A.I.Tretiakova did internship in neurology, specialized in functional diagnosis and ultrasound diagnosis in P.L.Shupik National Medical Academy of Postgraduate Education in 1997-98. She was awarded the title of Specialist in Functional Diagnosis in 2008, and a title of Specialist in Ultrasound Diagnosis in 2013. During her work at the Institute of Neurosurgery A.I.Tretiakova has combined diagnosis and treatment with research work, implemented the results of research and introduced them into practice of Functional Diagnosis Department, reconstructive neurosurgery, neurorehabilitation. A.I.Tretiakova participated in 14 research projects of the institute. She defended PhD Thesis “Clinical-ENMG diagnosis and control of facial nerve injuries treatment” (speciality 14.01.15 – diseases of the nervous system) in 2004; Doctoral Thesis “Clinico-neurophysiological aspects of vertebrogenic cervical myelopathy” (speciality 14.01.15 – diseases of the nervous system) – in 2014. 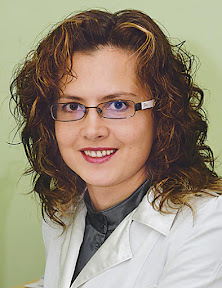 A.I.Tretiakova is the author of more than 70 research papers, including coauthorship in writing instruction materials/the guidelines for physicians, methodological guidelines. She has obtained 4 Ukrainian invention patents. A.I.Tretiakova regularly participates in both national and international scientific conferences and congresses. The Functional Diagnosis Department provides examination and tests to the in-patients of SI “A.P.Romodanov Institute of Neurosurgery, NAMS of Ukraine, as well as to the out-patients referred for examination by the doctors of the Institute of Neurosurgery health-centre. The Functional Diagnosis Department provides outpatient diagnostics to the patients from other health institutions (by previous appointment). Digital EEG (CEEG) is a method of registration of the cerebral bioelectric activity with a view to finding pathological rhythms, epileptiform activity, focal disorders and seizure activity of the brain. The technique is safe and does not require special preparation.The patient’s hair should be washed without the use of hair care products on the day of examination. Antiepileptic drug withdrawal on the day of examination should be recommended by the patient’s attending physician only. Indications for the examination:Показания к обследованию: loss or disorder of consciousness, convulsive seizures, epilepsy, focal symptoms, head injury, psycho-emotional disorders, hyperactive child syndrome, disphasia in children. Offices: 241, 242, 243, 244. Cognitive evoked potential technique (CEP P300) has been recommended as a method of examination by the International and American Associations of clinical neurophysiologists. It gives the opportunity to assess different stages of information processing in the brain with the help of the registration of local electric potentials in cerebral cortex during the test. It is based on random sequence (“оdd-ball paradigm”) delivery of the series of two auditory stimuli, among wich there are significant and insignificant ones. CEP P300 provides an objective assessment of certain cognitive functions, diagnoses early signs of cognitive disorders, primarily, ADD (attention deficit disorder), memory span, different types of dementia. The specialists of the department have developed and implemented the effective complex of neuropsychological and neurophysiological tests which enables them to individualize the treatment of patients and make the assessment of its effectiveness objective. Indications for the examination: memory, attention and cognitive disorders under mental work load, stress, asthenia; in patients with cerebrovascular pathology, cranio-cerebral trauma, mental disorders. Somatosensory evoked potentials make it possible for specialists to evaluate the condition of every link of conducting sensory pathways, from peripheral nerves and the spinal cord to the cerebral cortex. Auditory evoked potentials help to determine the level of the auditory impairment: auditory nerve, brainstem, cerebral cortex. Neuropsychological testing is conducted with the help of the standardized assessment, scales (tests), which show evidence and severity of cognitive disorders; emotional and depressive disorders, signs of asthenia, professional disadaptation. Neuropsychological testing gives the possibility to objectively confirm and determine the degree of the disorder severity based on blocks: visuoconstruction, names of objects, attention, speech, mathematical skills, semantic activity, abstract thinking, short-term memory, temporal and spatial orientation. Indications for the examination: memory, attention, cognitive disorders; evidence of depression, anxiety, asthenia, mental disorders, professional and social disdaptation. Electroneuromyography (ENMG) and needle EMG methods are used to diagnose the functional state of the peripheral nervous system and the segmental apparatus of the spinal cord. 1. Stimulation ENMG is the evaluation of motor and sensory nerve fibers conduction velocity indices, as well as skeletal muscle strength. Indications for the examination: nerve neuropathies, including posttraumatic ones, tunnel syndromes, polymononeuropathies, polyneuropathies, radiculopathies, polyradiculopathies, plexitis. 2. Needle EMG is used in motoneuron diseases (amyotrophic lateral sclerosis (ALS), spinal amyotrophy), plexus traumatic injuries, tunnel syndromes, muscle diseases (myopathy, polymyositis); diseases related to membrane excitability dysfunction (myotonia, myotonic syndromes), neuro-muscular transmission (diagnosis of myasthenia and myasthenic syndromes). Sterile disposable needles are used for EMG examination. Transcranial Magnetic Stimulation (TMS) is a method of neurostimulation and neuromodulation whose biophysical basis is the electromagnetic induction of the electric field in a given region of the brain. Under the influence of magnetic field, induction of weak electric currents which stimulate the nerve cells occurs in brain tissue. The advantage of TMS over the common electrophysiological methods is the posibility of objective (quantitative) evaluation of the corticospinal tract status (the so-called “pyramidal tracts”). The technique is painless and practically does not cause any side effects. It is used in clinical practice both as a method of diagnosis and as a method of treatment. TMS is used in many diseases of the nervous system, such as amyotrophic lateral sclerosis, myelopathy, multiple sclerosis, radiculopathies, spinal cord traumas; it is used for assessment of central nervous system plasticity and its recovery after neurosurgery for brain tumours, etc. Therapeutic TMS is effective in the treatment of depression, post stroke rehabilitation (it changes the excitability of certan cortical regions and their functional interrelation); in motor manifestations (hemiparesis), aphasia, neglect syndrome (spatial neglect), Parkinson’s disease, dystonias, neuropathic pain, type 1 complex regional pain syndrome, fibromyalgia, migraine, tinnitus (“hearing”noise in the ear), spinal spasticity (multiple sclerosis, spinal trauma, myelopathy), pharmacoresistant epilepsy. Repetitive TMS isn’t invasive, doesn’t require anesthesia and can be performed in a doctor’s office. Preparation for the procedure. Tranquilizer and vasoactive agent intake is not recommended as they can influence the test validity. It is necessary to remove mobile phones and other digital gadgets from the apparatus operating area, take off electronic watches and metal objects. The duration of the procedure – not longer than 30-40 minutes. Side effects. Sometimes the patient may feel discomfort or a minor headache in coil contact areas. During the procedure, the electromagnetic coil produces a loud noise. Therefore, it is recommended to use protection means to prevent tympanic membrane injury. • You’re pregnant or thinking of becoming pregnant. • Any other metal device or object implanted in your body. The examination is carried out with the help of of modern equipment of the following companies: DX-systems, Brain_Test 24k, “Neurosoft”, “NeuroMS/D”. Duplex (triplex) scanning – a method of ultrasound diagnosis of neck great vessels permeability, the condition of vessel walls, finding intraluminal masses (thrombi, atherosclerotic plaques), changes in vessel geometry (tortuosity, loops), presence of vasospasm (stenoses, dissections, aneurysms).The examination is painless and safe for the patients. It is performed in a supine position above the cervical vessels projection with the help of an AC/alternating-current transducer at oscillation frequency of 7 MHz. Тtranscranial duplex scanning (TCDS) is performed with the help of an AC- transducer at frequency of 2 MHz using 2 “ultrasound windows”: the transtemporal approach – for the proximal regions of medial, anterior and posterior cerebral arteries, the Rosenthal vein, and the trans-occipital approach – for the intracranial regions of spinal arteries and the basillar artery. Vascular studies are used to assess the blood flow in arteries and veins with the help of quantitative and qualitative analysis of spectrograms, as well as direct imaging of vessels with the use of CFM (colour flow mapping). The qualitative analysis is based on the dopplergram pattern. To make quantitative analysis, blood flow velocity data and peripheral vascular resistance indices are used. Functional tests: tests of cerebral vessel responsiveness and rotation tests of spinal arteries in triplex scanning mode are used. Indications for the examination: headaches, vertigo, strokes, transient ischemic attacks, atherosclerotic vascular disease, stenoses, thromboses, memory disorders, verterbrobasilar insufficiency, neck trauma, congenital vascular malformations, hindered venous return, condition after carotid artery stenting and preoperative assessment before cardiac surgery. NSN is an ultrasound technique which helps to reveal and evaluate congenital cerebral malformations in neonates, the condition of the ventricular system and structures of the brain, presence of hydrocephalus, intraventricular hemorrhage, cysts, hematomas (both spontaneous and posttraumatic). Combined with dopplerography in CFM (colour flow mapping) mode, NSN gives the possibility of the assessment of peripheral resistance of cerebral vessels, which may be a sign of intracranial hypertension. 3. Ultrasonography of abdominal cavity organs, thyroid gland, pelvic organs, lower extremity blood vessels. The examinations are carried out with the use of modern equipment: Toshiba Aplio 400, Toshiba Aplio MX, Siemens «Sonoline G50», Siemens Cypress Acuson, Logiq Book, Angiodin PC. The Fuctional Diagnosis Department provides training courses/traineeship for specialists in functional diagnosis, ultrasonography specialists, neurologists, neurosurgeons, psychologists, psychoneurologists, psychiatrists, orthopaedists, pediatric neurologists, family physicians, general practitioners, internship doctors. Training courses are conducted by the leading specialists of the Functional Diagnosis Department of the Institute of Neurosurgery. Opened the website of the Public organization “Society of Clinical Neurophysiologists”. Information on other cycles, please clarify in September by phone: 068-302-67-23, 068-302-67-22. 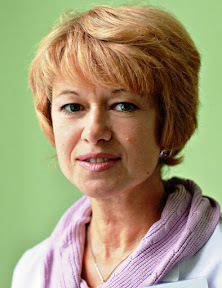 Responsible for conducting courses Professor Chebotarova Lydia Lvovna, e-mail: llche@ukr.net. Working hours: Monday – Friday 8.45 am — 4.30 pm (Saturday, Sunday — days off). Address: 32 Platona Mayborody St., (building 5), Kyiv-050, 04050.